James D. Rebmann Sr. of Taylor Hollow Rd. passed away at home surrounded by family Wednesday August 29, 2018. James was 86 years old. Born in Buffalo February 3, 1932 the son of Daniel and Veronica (Wozniak) Rebmann. 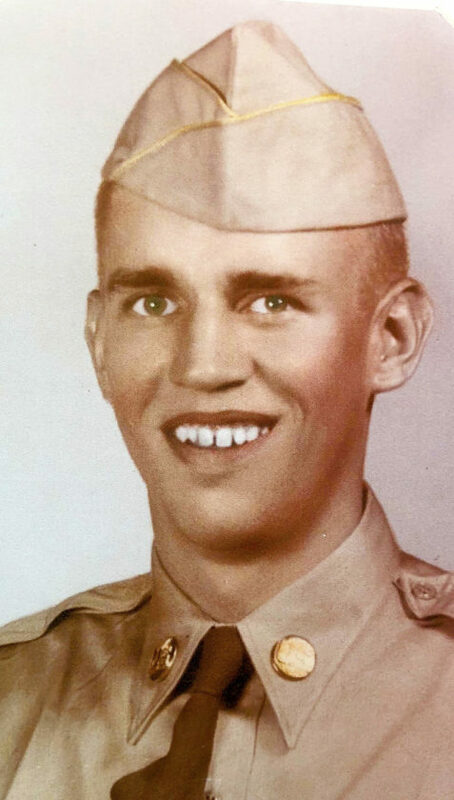 Jim honorably served his country with the US Army during the Korean War. He received the Korean Service Medal along with two Bronze Service Stars, the United Nations Service Medal and the National Defense Service Medal. James married the former Patricia A. Gernatt on October 20, 1956. Jim and Pat were married at St. Joseph’s RC Church in Gowanda. Jim worked at the Gernatt family business for over 35 years, he retired in 1990 as a supervising engineer. Memberships included St. Joseph’s RC Church Gowanda, The American Legion Post No. 409 Gowanda, The Korean War Veterans Association along with the Slovenian Club in Gowanda. Surviving besides his wife of nearly 62 years are his children; Laurel (Mark) Smith, James D. Rebmann Jr., Cynthia (Robert) Peglowski , Russell (Susan) Rebmann, William (Lisa) Rebmann, John (Debi) Rebmann, Robert (Carolyn) Rebmann, David (Jessica) Rebmann, Barbara Galloway and Jeanne Klatt. 31 grandchildren and 16 great grandchildren along with Jim’s siblings Dolores (late Dominic) Liberto, Ronald (Gail) Rebmann, Kathleen (Terry) Luthart also survive along with several nieces and nephews . Besides his parents, James is preceded in death by a granddaughter Lindsay Ann Rebmann along with a sister Grace Rebmann and a brother Alfred Rebmann. Friends may call at the St. Joseph’s RC Church East Main Street Gowanda on Friday August 31 from 4-8 p.m. where a Mass of Christian Burial with full Military Honors will be celebrated Saturday Sept. 1, 2018 at 10:30 a.m. Rev. Daniel Walsh Celebrant interment to follow in the Holy Cross Cemetery Gowanda . Arrangements are by the SCHINDLER FUNERAL HOME 44 Center St. Gowanda.